Susan Arledge, SIOR, focuses her efforts on providing tenant focused real estate brokerage and site selection services for clients locally, nationally and globally. 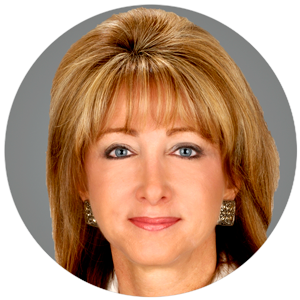 She Is Managing Director of E Smith Realty Partners and leads E Smith’s Global Site Selection team. Susan focuses on finding locations that reduce attrition, increase productivity, improve quality of service and allows our clients to remain competitive by finding a labor force that meets their quality standards. A recognized author and frequent speaker on the skills required for site selection, incentive negotiations and tenant representation, Susan was recognized by D CEO Magazine as the ‘Most Read Contributing Editor’ for her real estate blog entries. Prior to the taking the helm at E Smith Realty, Susan was the Managing Principal of Cresa Dallas and was also a Senior Vice President with The Staubach Company where she earned the distinction of being the Company’s Top Producer and a Top Five Producer. Susan graduated from the University of Texas at Austin. Ms. Arledge served as a member of the Administrative Board of Highland Park United Methodist Church, Texas Exes Alumni Association and is a graduate of the Leadership Dallas program.